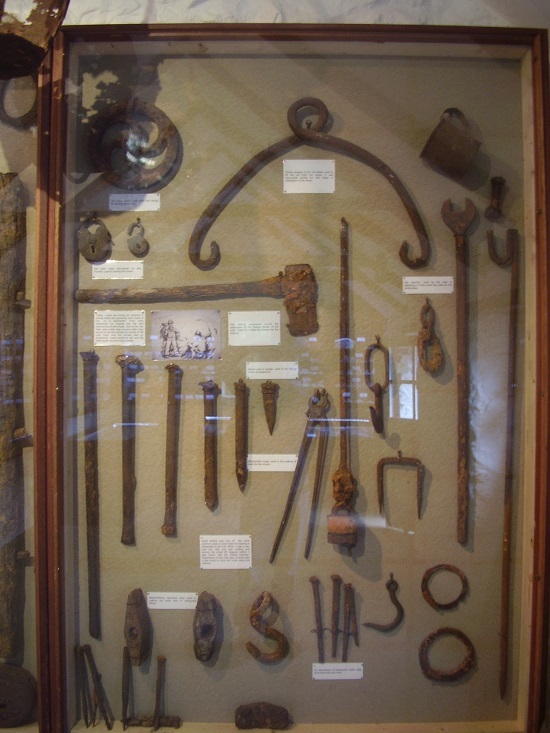 He has a farm with a lead mine and a museum! 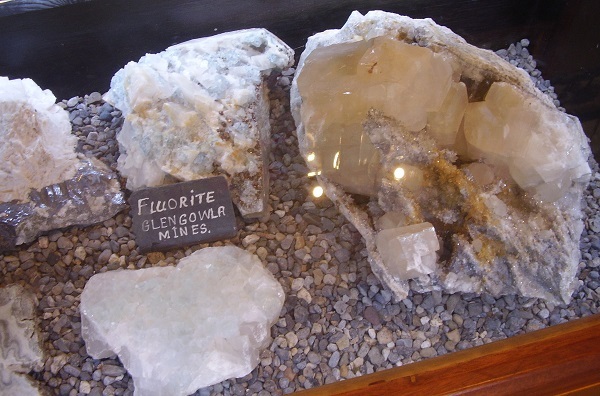 He's put an amazing amount of effort in opening the mine up for visitors, and has created an extremely interesting museum with mineral specimens, mining artifacts, historical documents and maps. 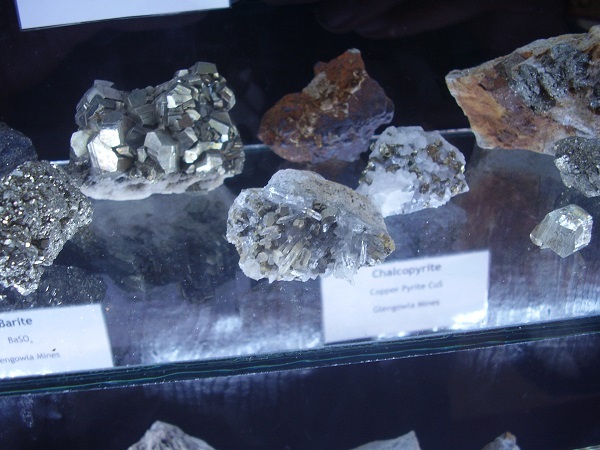 My tour of the mine was conducted by Johnno who, in a cheery and enthusiastic manner, conveyed a wealth of information, both geological and historical. 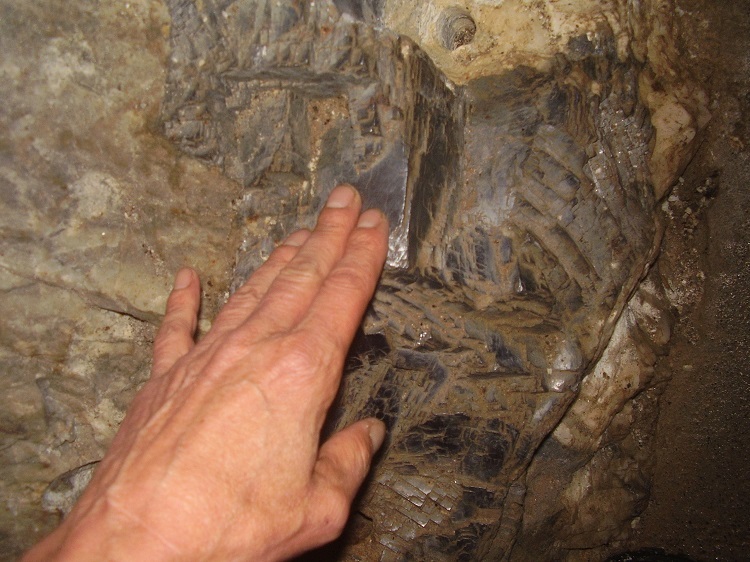 For instance, timbers uncovered whilst clearing out the mine were unrotted, even though they'd been underground and wet for over 150 years. The wood was discovered to be Pitch Pine (Pinus rigida), native to the east coast of America. The timber had been imported on returning emigrant coffin ships during the Great Famine. 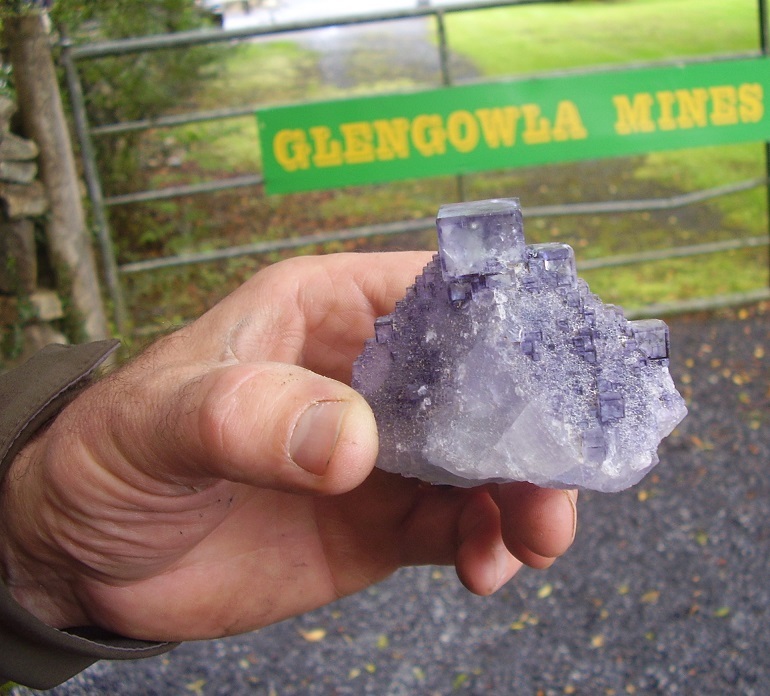 Glengowla mines operated from 1850 to 1865, producing around 390 tonnes of lead, from which 28kg of silver was extracted. 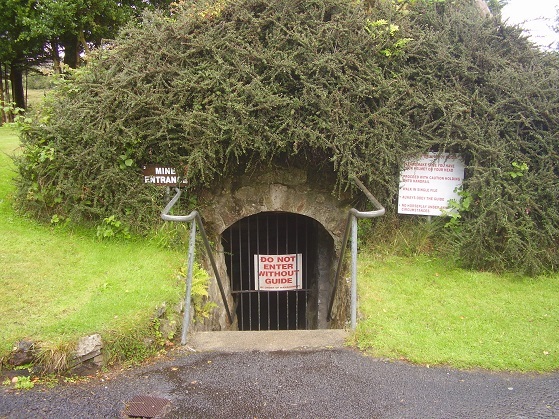 The mine is about 40 meters deep and extends out for about 200 feet. 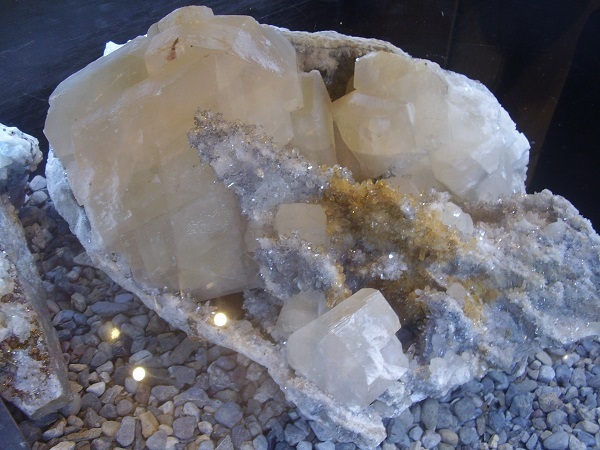 The mineralisation is evident as large calcite and galena crystals which can be seen in-situ within the contorted Connemara marble. 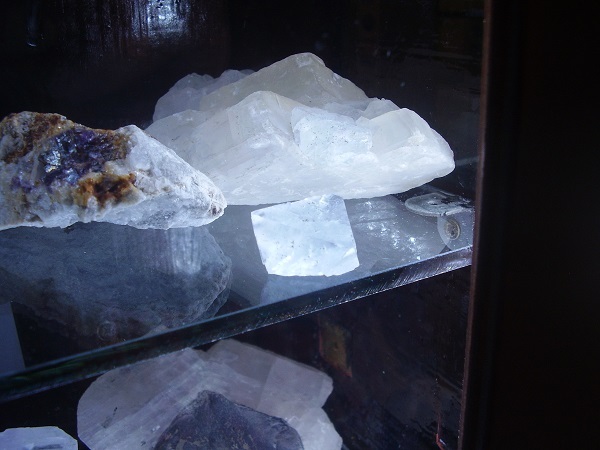 Mineralogically, the mine is most famous for its octahedrally crystallised fluorite. 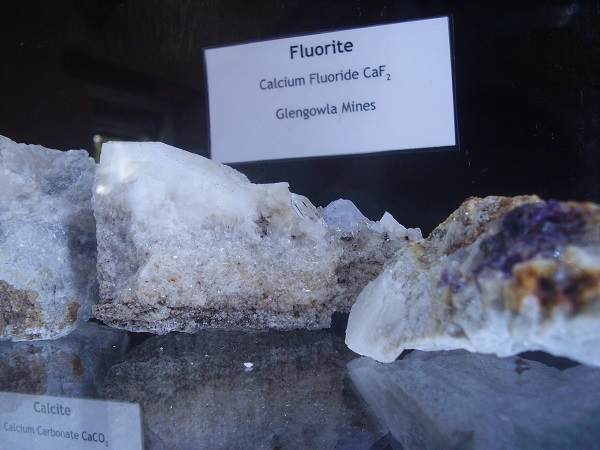 The fluorite is colourless to pastel shades of blue, purple and green. 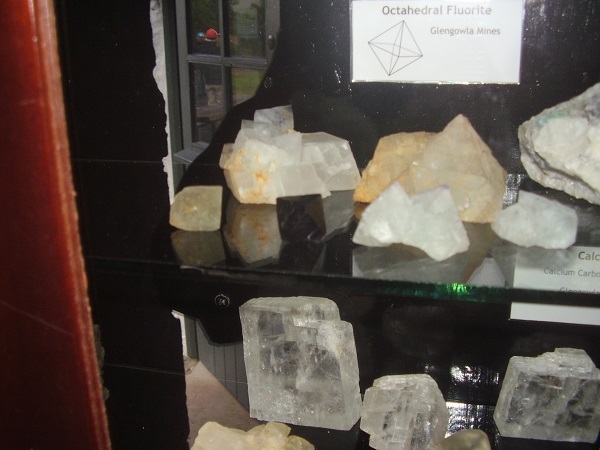 Examples are displayed in the museum, together with calcite, baryte, sphalerite, pyrite, chalcopyrite and needle quartz. 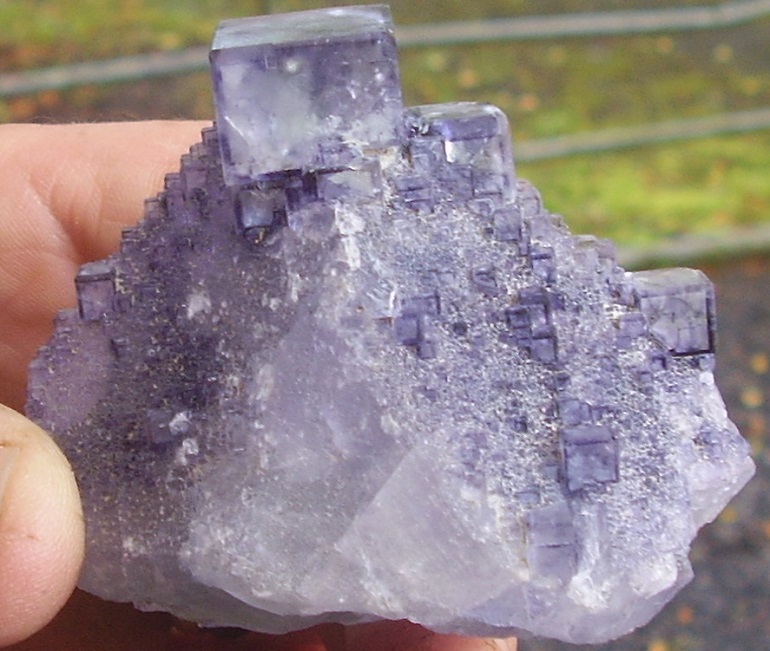 The four photos above attempt to show one of the nicest specimens, a pair of colourless fluorite octahedrons with purple zoning on the apexes. I failed. 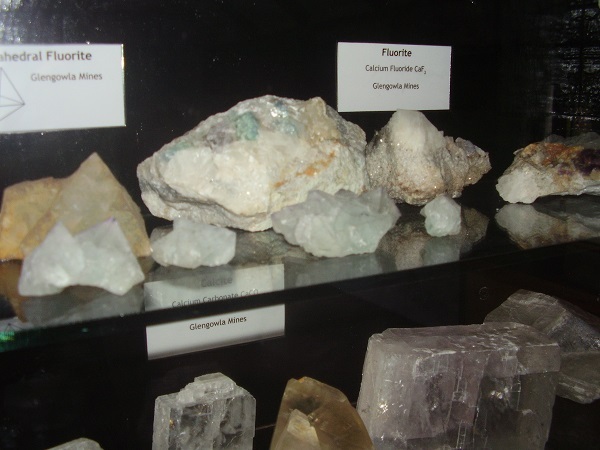 Keith's museum also has a display of minerals from other mines and quarries, both from Ireland and worldwide. 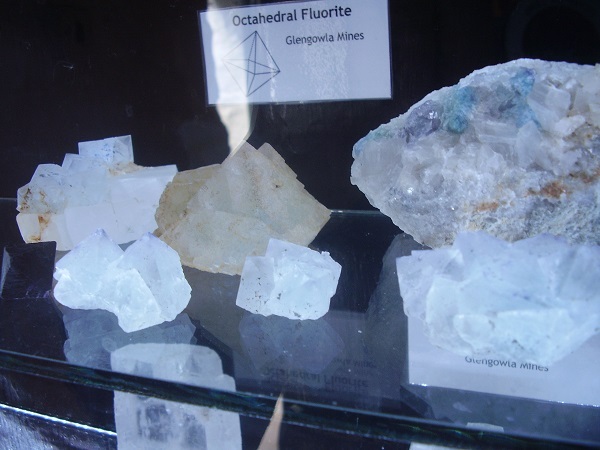 As I was leaving he showed me some spectacular fluorite specimens, which presently are not on display. He'd been given them. No location unfortunately, but Keith was told they're from Ireland. 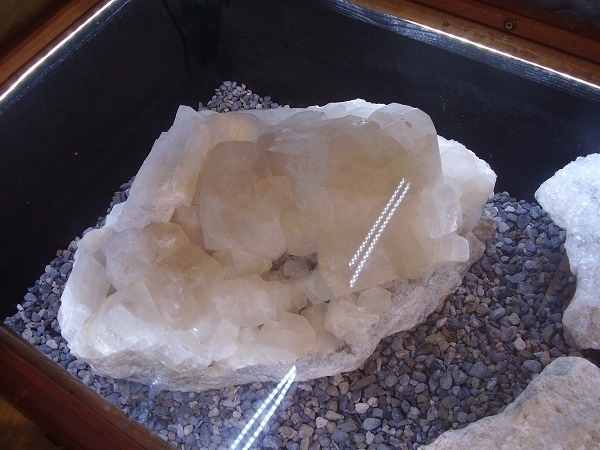 One, a large octahedral crystal, covered with oriented cubic crystals (showing that secondary growth at a lower temperature took place), is a stunner. The cube edges are dodecahedrally modified (slightly bevelled) and, as you can see, beautiful lilac colour zoning is present. I love the jaunty large cube on the apex of the octahedron! 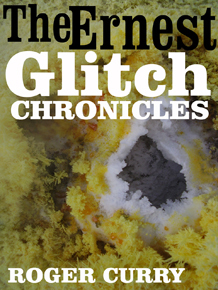 A world-class specimen. 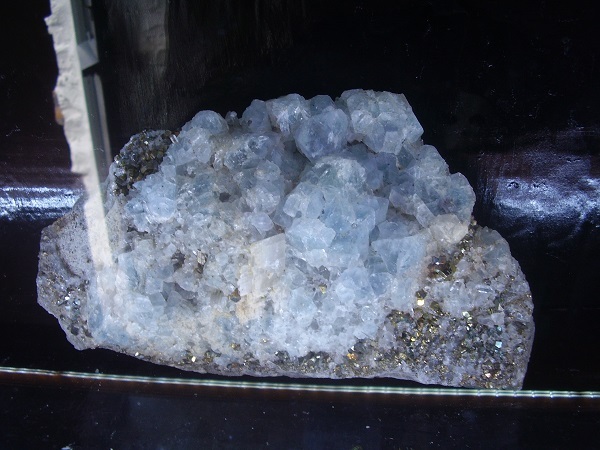 I'd heartily recommend a visit to the mine to anyone, but for those into mineralogy, it's a must when you're in Ireland. 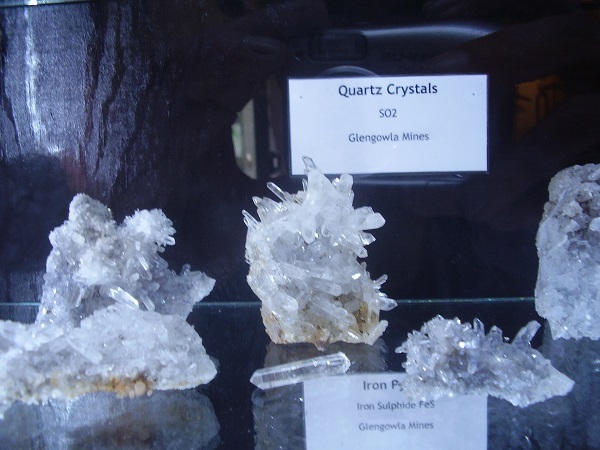 Collecting obviously isn't allowed, but minerals such as needle quartz from the mine, can be purchased at the gift shop. 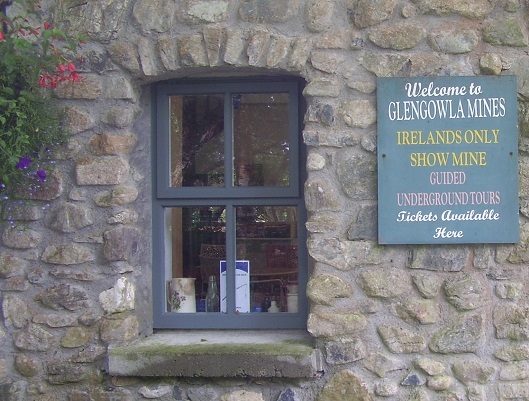 Glengowla Mines are situated 2 miles West of Oughterard village, 300 meters off the N59 Galway to Clifden road. GPS coordinates N 53.4181 W 9.3732. 1911 Rede Lecture: Figure 29: "Parson's Combined Impulse-Reaction Turbine"